Revolutionary and stunning, the first of MSC Cruises' Seaside Class was introduced in 2017 with the arrival of the 160,000-ton, 5,179-guest MSC Seaside. Aptly named, she was designed to enhance the cruise experience by providing a sense of closeness to the sea and is the largest in the fleet with the most outdoor space per passenger than any other cruise ship. Adding to this spacious open feel, are glass elevators boasting panoramic views and a glass-floored unique walkway. Stroll along the 360° waterfront promenade that circumvents the ship and enjoy a myriad of stylish bars, alfresco dining venues, shops, swim and sunbathe. Get a relaxing treatment at the spa. 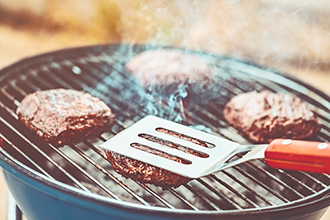 Excitement and fun is offered for everyone in the family, including a full-sized bowling alley, play areas for the kids and a restaurant just for them. Several youth programs are available onboard. Enjoy the thrills at the interactive multi-story aqua park, one of the largest at sea, featuring five different water slides, including two high-speed racing slides with loops extending over the side of the ship for unforgettable fun. This high-tech ship has slide-boarding with interactive games, lights music and more. Tots even have their own adventure trail area. Try the ropes course where you will be ducking from the many spray cannons and the thrill of the zip lines on the top deck. 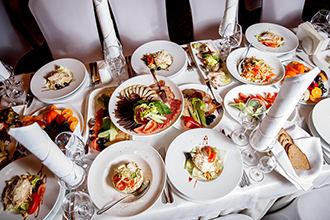 Varied cuisine at nine fabulous eateries include five specialty restaurants. 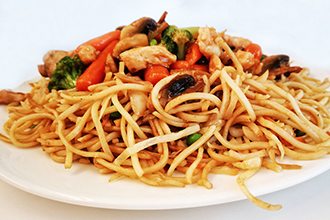 A new Pan-Asian venue, steakhouse and seafood restaurant and other savory choices, are sure to please everyone's palate. Families are catered to throughout the MSC Seaside, with such features as a dedicated "kids-only" buffet. Spacious accommodations include 14 aft corner suites and terraced balcony staterooms that overlook the promenade below. 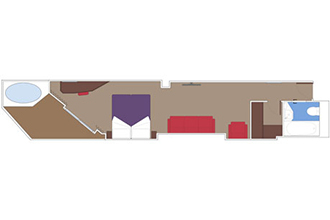 "Cluster staterooms" were specifically designed for families and some suites feature a private outdoor hot tub. All were designed to blend comfort and style. 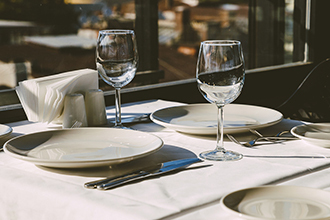 Pure luxury is offered at the exclusive MSC Yacht Club. Here guests will find a high-end experience, a private lounge, pool and solarium, butler service and more. Delight your senses at luxury cabanas for spa treatments and two wellness staterooms. Broadway-style shows are featured at the high-tech theater with unobstructed views. 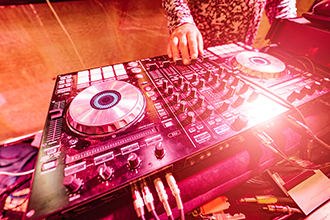 For an exciting evenening make your way to the casino, the disco or one of the many bars and lounges. Experience the unparalleled MSC Seaside for an amazing vacation your entire family will love. MSC Seaside cruises to the Caribbean. Queen bed, spacious wardrobe, bathroom with shower, and balcony, Most staterooms include a sofa, and some sofas convert into a double bed to accommodate 3rd and 4th guests, Air conditioning, interactive LCD TV, telephone, mini bar and safe, Surface approximately 172 - 269 sq. ft., plus a balcony up to 97 sq. ft., Accommodates up to 4 guests, Wi-Fi connection available (for a fee). 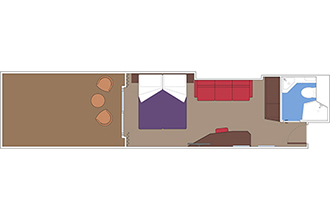 Note- *Queen bed can be converted to two single beds on request., Size, layout and furniture may vary from that shown (within the same stateroom category). Queen bed,* spacious wardrobe, bathroom with shower, and balcony, Most staterooms include a sofa, and some sofas convert into a double bed to accommodate 3rd and 4th guests, Air conditioning, interactive LCD TV, telephone, mini bar and safe, Surface approximately 172 - 269 sq. ft., plus a balcony up to 97 sq. ft., Accommodates up to 4 guests, Wi-Fi connection available (for a fee). 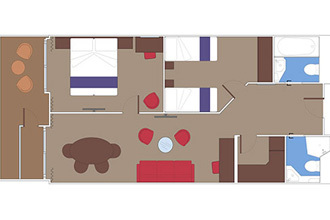 Note- *Queen bed can be converted to two single beds on request., Size, layout and furniture may vary from that shown (within the same stateroom category). Queen bed,* spacious wardrobe, bathroom with shower, and small sitting area, Two additional pullman beds accommodate 3rd and 4th guests, Air conditioning, interactive LCD TV, telephone, mini bar and safe, Surface approximately 151 - 301 sq. ft., Accommodates up to 4 guests, Wi-Fi connection available (for a fee). 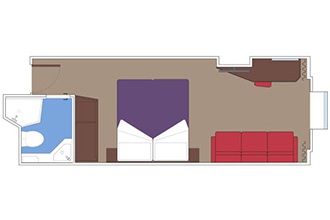 Note- *Queen bed can be converted to two single beds on request., Size, layout and furniture may vary from that shown (within the same stateroom category). Queen bed which can be converted into two single beds (on request), wardrobe, bathroom with shower., Sitting area converts to a single sofa bed and an additional pullman bed accommodates 3rd and 4th guests, Interactive TV, air conditioning, telephone, mini bar and safe. Wi-Fi connection avialable (for a fee)., Surface approximately 183 sq. 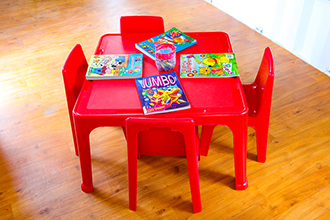 ft., Accommodates up to 4 guests. 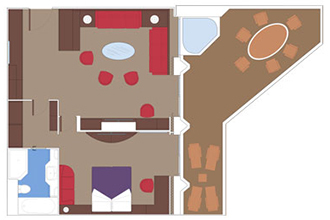 Note- Size, layout and furniture may vary from that shown (within the same stateroom category). Queen bed which can be converted into two singles (on request), wardrobe, bathroom with shower, and balcony., Some sofas convert into a double bed to accommodate 3rd and 4th guests., Interactive TV, air conditioning, telephone, mini bar and safe. Wi-Fi connection available (for a fee)., Surface approximately 183 - 301 sq. ft., plus a balcony up to 172 sq. 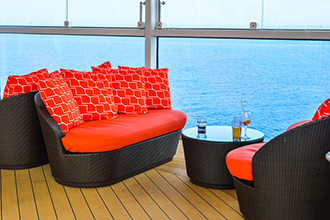 ft. (Staterooms 9002 & 9003 have balconies of 409 sq. ft.), Accommodates up to 4 guests, Suites 9255, 9258, 10273, 10264, 11273, 11264, 12267, 12260, 13275, 13264, 14271, 14262, 15239, 15236 are angled suites. 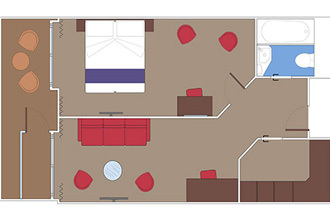 Note- Size, layout and furniture may vary from that shown (within the same stateroom category). Two bedrooms: one with double bed and one with two single beds, Two bathrooms: one with bathtub and one with shower, Air conditioning. Large wardrobe. Interactive TV. Telephone. WiFi connection available (for a fee). Mini bar and safe.Surface approximately 528 sq. ft. with spacious balcony of approximately 183 sq. ft., These suites can comfortably accommodate up to 5 people.3 total: suites 11001, 12001 and 14001, *Queen bed can be converted to two single beds on request.Size, layout and furniture may vary from that shown (within the same stateroom category). Spacious suites that come with a balcony and a separate sitting area, Each suite is equipped with Air conditioning, spacious wardrobes, interactive LCD TV, telephone, mini bar and safe, Surface approximately 344 - 527 sq. ft., plus a balcony up to 226 sq. ft., 1 bedroom/1 bathroom - a queen bed,* a double sofa bed and a pullman bed to accommodate up to 5 guests (9 total suites. Suites 14002 and 14003 accommodate only 2 guests), 2 bedrooms/2 bathrooms - queen bed* in bedroom 1 and two single beds in bedroom 2 and a pullman bed for up to 5 guests (3 total: suites 11001, 12001 and 14001), Wi-Fi connection available (for a fee), In addition to the Grand Suite amenities, until Winter 2019 the Wellness Grand Suites are equipped with Technogym Kinesis, the stylish designed machine for working out in the comfort of your suite. 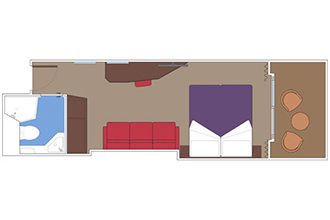 Note- *Queen bed can be converted to two single beds on request., Size, layout and furniture may vary from that shown (within the same stateroom category). Queen bed,* large wardrobe, bathroom with bathtub, a sitting area and private balcony with whirlpool tub, Some sofas convert into a double bed to accommodate 3rd and 4th guests and come with an additional pullman bed, Air conditioning, interactive LCD TV, telephone, mini bar and safe, Surface approximately 301 sq. ft., plus a balcony of 75 sq. ft., Accommodates up to 5 guests, Wi-Fi connection available (for a fee). 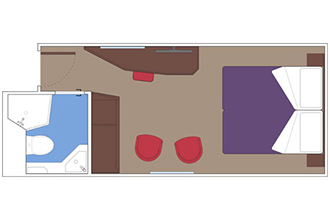 Note- *Queen bed can be converted to two single beds on request., Size, layout and furniture may vary from that shown (within the same stateroom category). Queen bed,* spacious wardrobe, bathroom with a large shower, separate sitting area, and private balcony, All sitting areas include a sofa. Some sofas convert into a double sofa bed and some also contain an additional pullman bed to accommodate up to 5 guests., Air conditioning, interactive LCD TV, telephone, espresso-type machine, mini bar and safe, Surface approximately 269 sq. ft., plus a balcony of 86 sq. 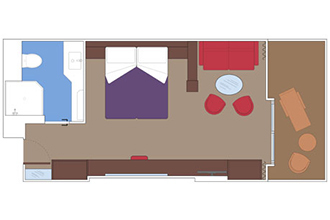 ft., Accommodates up to 5 guests, Wi-Fi connection available (for a fee), Note- *Queen bed can be converted to two single beds on request., Size, layout and furniture may vary from that shown (within the same stateroom category). Queen bed which can be converted into two single beds, spacious wardrobe, bathroom with tub and shower, separate living room., Sitting area includes a sofa that converts into a double bed to accommodate 3rd and 4th guests, Interactive TV, air conditioning, telephone, espresso coffee machine, mini bar and safe. Wi-Fi connection available (for a fee)., Surface approximately 667 sq. ft., plus a balcony of 355 sq. ft. with dining table and private whirlpool tub. Queen bed,* spacious wardrobe, bathroom with shower, and sitting area, Air conditioning, interactive LCD TV, telephone, espresso-type machine, mini bar and safe, Surface approximately 226 sq. ft., Accommodates up to 2 guests, Wi-Fi connection available (for a fee). 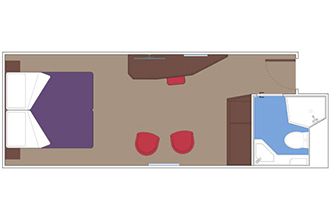 Note- *Queen bed can be converted to two single beds on request., Size, layout and furniture may vary from that shown (within the same stateroom category). The dedicated family buffet on deck 16 offers a variety of popular favorites and other tasty, healthy dishes that children will love. 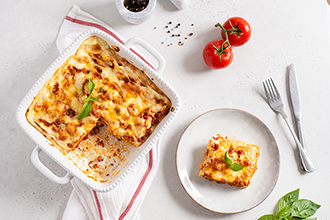 MSC Seaside's main restaurants serve a mouthwatering blend of freshly prepared Mediterranean cuisine and international specialties in elegant surroundings. 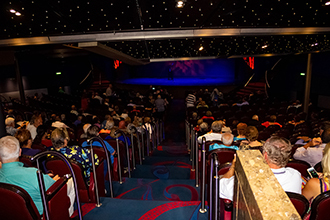 The stunning high-tech theater is the ideal venue to enjoy spectacular Broadway-style shows, with a varied program offering compelling entertainment every evening of your cruise. With its multi-story aqua park, MSC Seaside offers one of the largest and most interactive water attractions at sea. It prides itself on its four different water slides, including two high-speed racing slides with clear loops extending over the side of the ship. For the first time on a cruise ship, MSC Seaside will feature Slide-boarding technology, combining an interactive game, lights, music and a 367-foot water slide. Also boasts an AquaPlay™ area for tots and an adventure trail, the aqua park truly has something for everyone. Enjoy all the fun of two full-size bowling lanes, where you can challenge friends and family to the last pin! Venchi cioccogelateria & Coffe Bar. MSC Yacht Club Sun Deck.